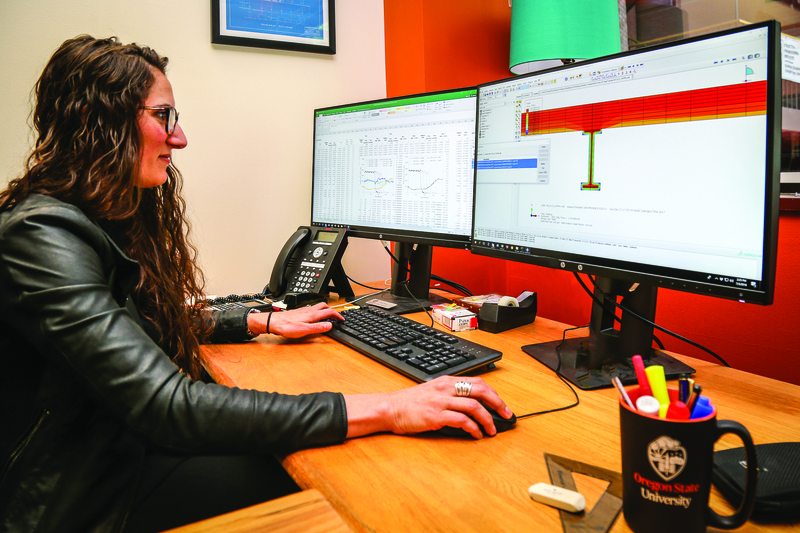 Erica Fischer, assistant professor of structural engineering, is working on a project funded by the Pacific Earthquake Engineering Research Center to evaluate which types of industrial facilities are vulnerable to collapse in fires that occur after earthquakes. Traditional design approaches allow for the movement and bending of buildings but do not require fire suppression systems to be operable after an earthquake. This design method leaves many structures susceptible to fires after earthquakes because they do not have functional automatic fire suppression systems. By varying ground accelerations under experimental settings and using Open System for Earthquake Engineering Simulation software for simulating the seismic response of structural and geotechnical systems, Fischer and her research group will quantify how much additional damage is caused by fire compared to the motion of the ground during an earthquake. This project will identify vulnerable components of facilities and potential improvements by integrating seismological, multi-hazard, and socio-economical aspects of earthquake and fire engineering. Ultimately, Fischer is working to improve emergency management practice and help communities plan for their recovery after a disaster.